The TiK Tok singer dropped the trailer for the Apple Music documentary on Monday and shared her excitement with fans on Twitter ahead of its release on 10 August. Rainbow – The Film looks set to shed light on the creative process of the "life-saving" album, which the 31-year-old reportedly wrote and produced while battling former producer Lukasz 'Dr. Luke' Gottwald in an ongoing high-profile lawsuit. "Sometimes things feel like they're too much to handle," the songstress says at the start of the trailer, which features a number of flashback scenes and psychedelic imagery. "You may be able to pull it together and put on a front in front of others. But inside you're trapped, suffocating slowly." The video then cuts to a series of previously unseen shots from live shows, recording sessions, media events and photoshoots, as well as snippets from her emotional performance of 2017 single Praying at the 2018 Grammy Awards, in which she can be seen shouting to crowds: "You don't own me!" 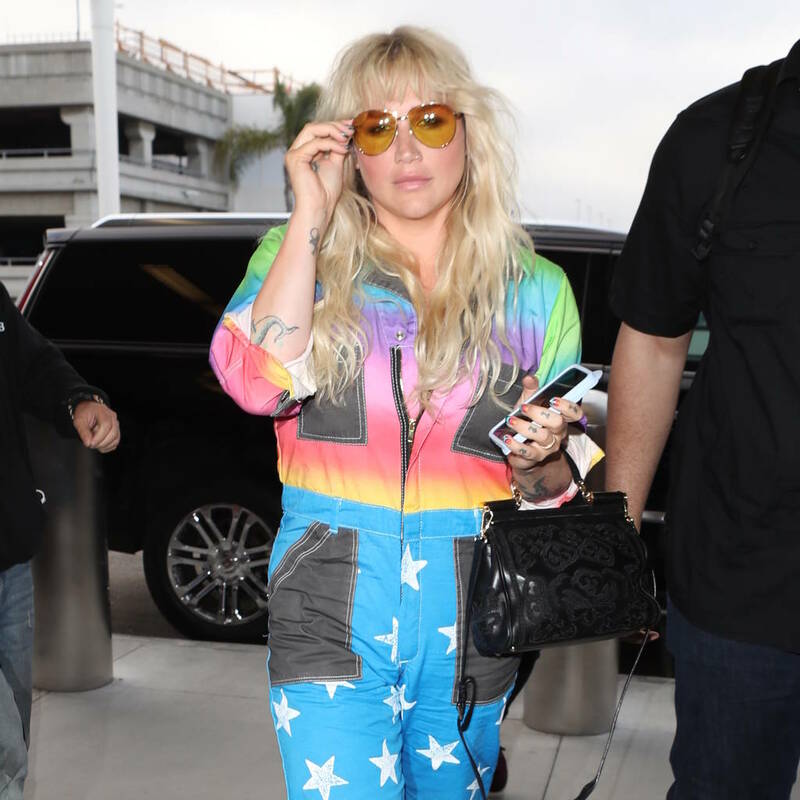 The Take It Off singer has been embroiled in a bitter legal dispute with Dr. Luke for a number of years after she sued him in 2014 for a slew of complaints including sexual assault, sexual harassment and emotional abuse. The claims were later dismissed and dropped. "Making Rainbow the album was such a therapeutic process and given the opportunity to turn it into a three-dimensional piece of art has helped me find even deeper healing and catharsis," Kesha shared in a statement to editors at Rolling Stone. "I hope this film inspires others to never give up even if you feel full of hurt or lost, because after the storm comes a rainbow. Depression, anxiety and mental illness are things we all need to talk about more, and there is no shame in asking for help. Making the decision to work on yourself is the bravest thing you can do. I hope this film helps bring light and love to everyone."